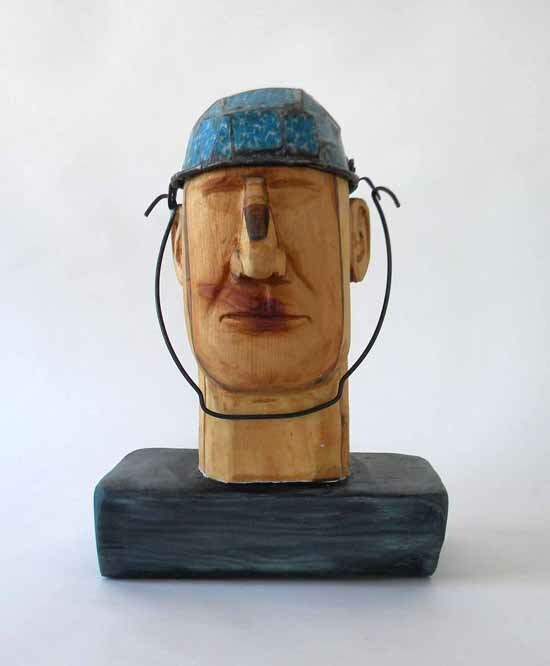 Susan Valyi was born in Vancouver, and studied at the Nova Scotia College of Art and Design, but didn’t find her artistic voice until abandoning her formal education and approaching her sculpture with the naivety of an ‘Outsider Artist’. 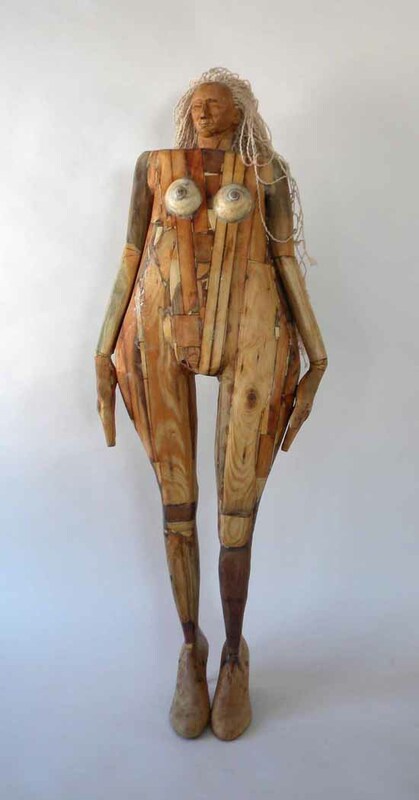 Her work is constructed of puzzle-pieces made from found objects, wood and resin joined together, filled, grinded and polished into human and animal forms with mythical and whimsical silhouettes. The work is based on preliminary sketches, but is created in a beautifully organic fashion with wave-like curves coming to abrupt joints with found iron and animal bone objects.